Olay and Secret Berry Fresh Gift Pack ONLY $7.88! Reg $13! 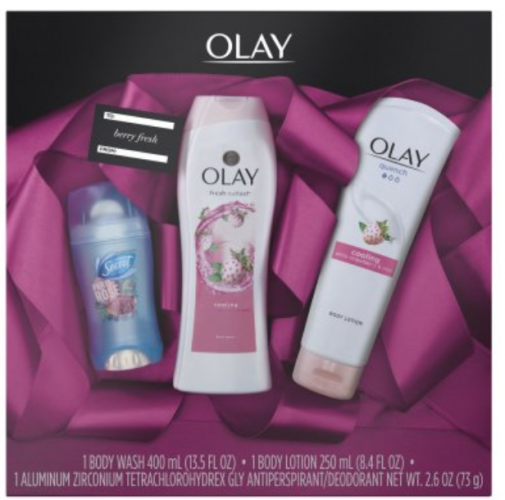 Head on over to Walmart.com and snag the Olay Body Wash and Secret Antiperspirant and Deodorant Berry Fresh Gift Pack for just $7.88! Reg $13!